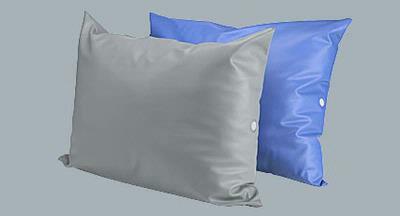 The Derby Pillow, like all Derby products, is of the highest quality. It is manufactured using the same innovative technology as our mattresses. All seams are 100% sealed. Our patented vent allows it to breath, while maintaining a fluid-resistant barrier that locks out bodily fluids, bed bugs, head lice, etc. Fiber filling is naturally flame retardant while it provides durable comfort.